Only fill the cups 2/3rds full. (My first batch was overflowing and had a huge ugly muffin tops). The batter needs to be fairly gooey. (My first batch was way too thick and dense...so I added a full cup of almond milk). Perfectly light and fluffy: A true cupcake, even with the addition of protein-rich greek yogurt. 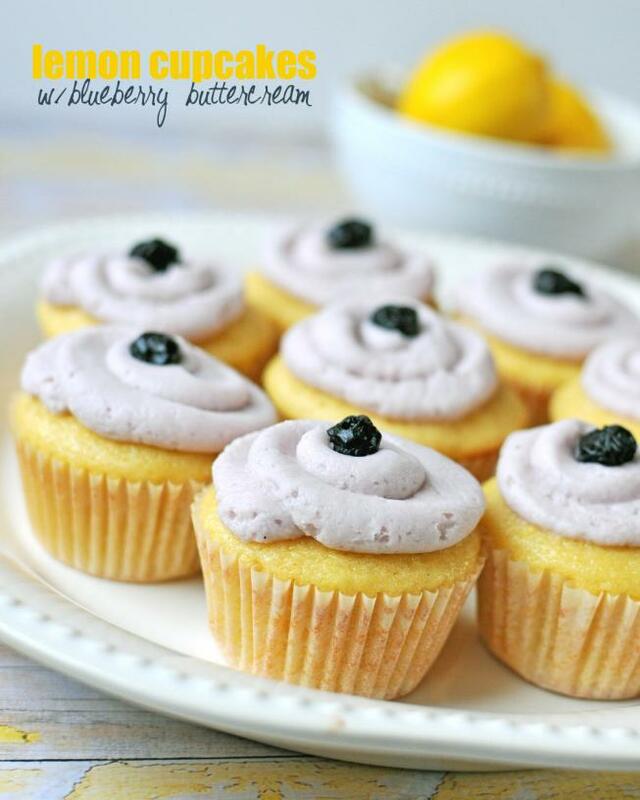 Topped with a blueberry buttercream frosting and adorned with a dried blueberry, they're almost too cute to eat. ALMOST! Babycakes declared me the winner of today's cupcake war. 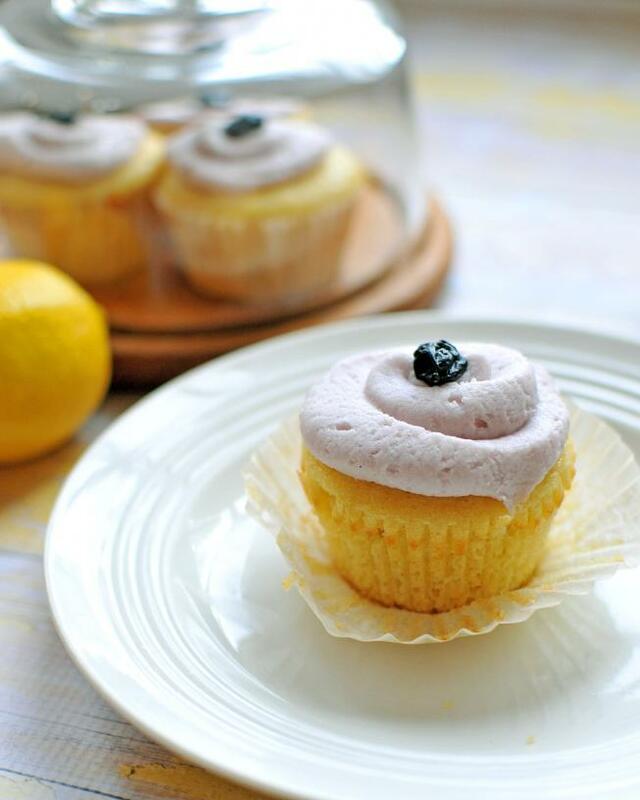 Lemon Cupcakes with Blueberry Buttercream Frosting -- divine!! Combine sugar and butter, and use a hand-mixer to blend until fluffy. Add one egg at a time, mixing thoroughly. 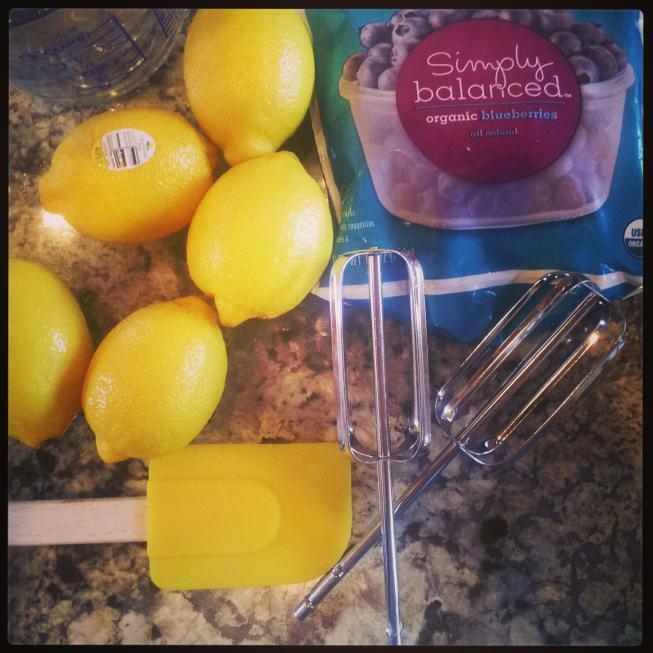 Stir in the remaining wet ingredients: greek yogurt, lemon juice, lemon zest, honey, almond milk, mixing thoroughly. In a separate bowl combine dry ingredients: flour, baking powder, and sea salt. Slowly add in the dry mixture to the wet. Put cupcake liners into a muffin tin and fill them 2/3rds full with batter. Let cool completely, then add frosting and top with a dried blueberry. I used the blueberry juice from defrosted frozen blueberries. Combine all ingredients in a very large mixing bowl. Use a hand-mixer to combine and mix until creamy/fluffy -- approximately 2 minutes.